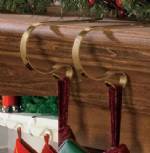 Hang your Christmas stockings and decorations in style with our newest version of mantle clip hangers! 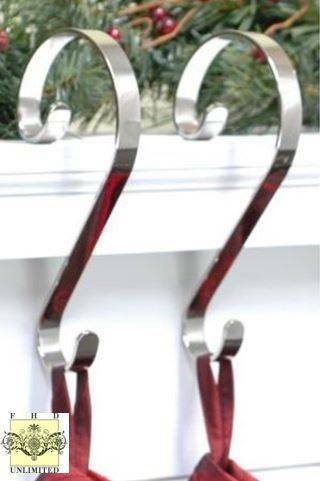 This set of four silver finish mantle clip hangers come with a set of four assorted decorative fronts that snap onto the front of the clip, so you can use your hangers with or without the added decoration. Set of four decorations includes a Christmas tree, a snowflake, a snowman and a leaping reindeer. 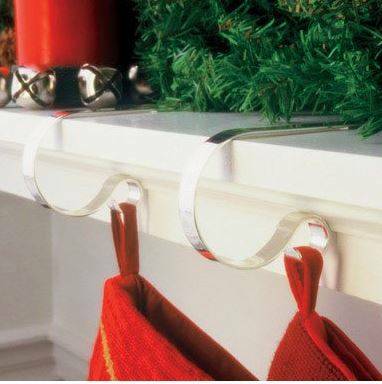 Designed to naturally adjust to mantles measuring between 1" and 3" thick, these come with grippers on the bottom of the mantle clip protect your mantle while also gripping so they can hold even the fullest stocking (up to 10 pounds! )!